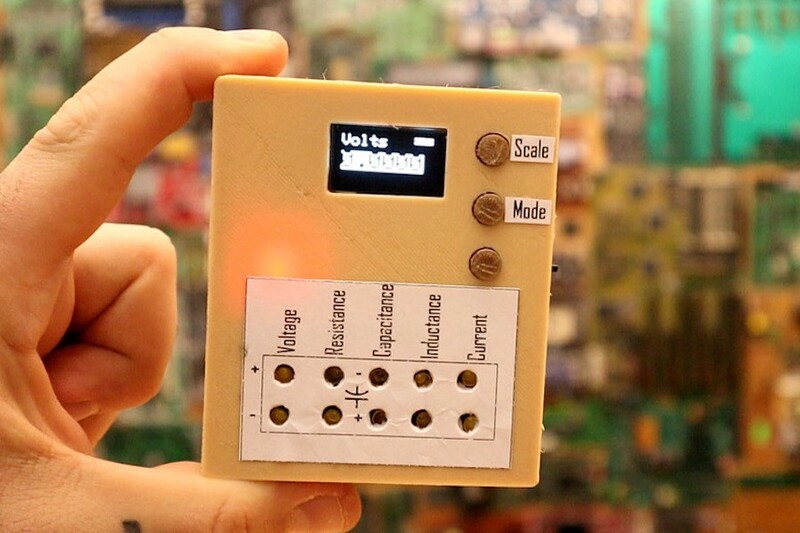 While your first instinct with something so basic as a voltmeter would be to buy one, per this build by Electronoobs, you can also construct one to your exact specifications. The meter shown might not be as good as one meant for heavy industrial use, but it does produce readings that agree with a purchased meter, and it’s able to measure five different criteria — voltage, resistance, capacitance, inductance, and current — a few of which you might not find on a standard device. The schematic for the design is found in the project’s write-up, and includes a small 128×64 OLED screen that display what you’re measuring, along with the charge status of the LiPo battery that supplies power. Probe connections are via 10 female bullet connectors, and in order to keep the design simple, changing the type of reading requires physically swapping probe leads, along with setup via a scale and mode button. An Arduino Nano serves as the brains of the operation, and a 16-bit ADC facilitates accurate measurements. While you may not want to throw your Fluke meter in the trash just yet, knowing how these readings could be obtained would certainly come in handy for many different types of projects! 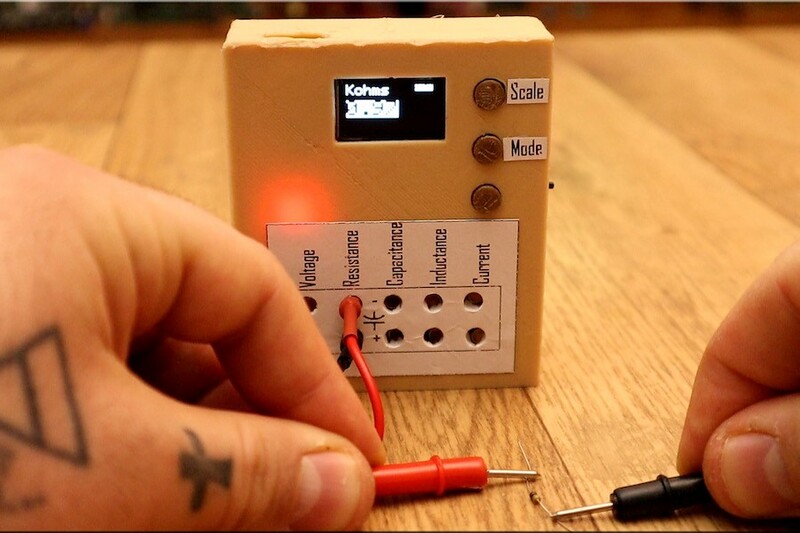 DIY Multimeter Takes Five Different Types of Readings was originally published in Hackster Blog on Medium, where people are continuing the conversation by highlighting and responding to this story.